Former governor Ayodele Fayose on Wednesday afternoon sustained injuries after his G-Wagon Benz with registration number AAA777TM was involved in multiple car crash around 1pm. The accident occurred on 3rd Mainland Bridge, Lagos. 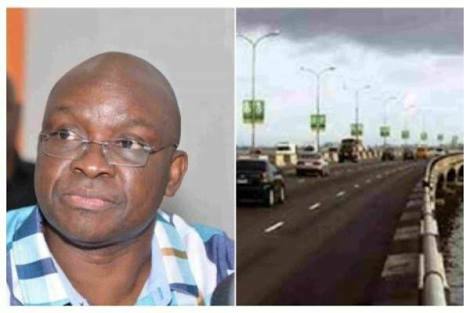 It was gathered that Fayose had driven the white G-Wagon which rammed into a broken down commercial bus and a patrol motorcycle parked beside. The accident, it was learnt, also affected a Toyota Avalon with registration number FKJ643DR. Although no life was lost, it was gathered that shattered glasses penetrated Fayose’s body. The Nation learnt that the former governor was administered first aid by the Lagos State Ambulance Service (LASAMBUS) at the scene of the incident while all the vehicles were evacuated from the scene. Hey Buddy!, I found this information for you: "Fayose Sustains Injury In Multiple Crash In Lagos". 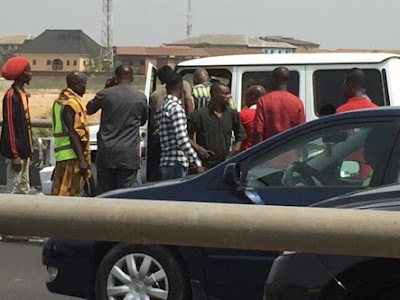 Here is the website link: https://headlinenews365.com/fayose-sustains-injury-in-multiple-crash-in-lagos/. Thank you.